This is one of our Dailytrades members experiences using the service. This review is from the 9th of August until the 18th of September. You can read the previous reviews as well. 1st month, month 2-3 , month 4-5. The Dailytrades service is your own personal tipster who gives you hundreds of bets each week that beat the pinnacle closing line. It has been shown time and again that beating the Pinnacle line is the key metric in making a long term profit. That is exacly what this service does. Dailytrades is $50/week or $175/month and gives you access to all Australian and European bookmakers. *Disclaimer* These profit totals do not include any arbitrative bets made utilising this tool. Hello World! Today I provide the latest update of my sports trading using the DailyTrades tool. As the data indicates, the last month has been exceptional for both profit and wager size categories. The two are of course intrinsically linked due to the advised staking system, however it is rather illustrative of the potential for compound growth. Variance has played a significant role, with 27 of the last 39 $100+ trades resulting in winners. However, with a significant history of trades behind me, there is now some definitive proof of what works and what simply doesn’t. More specifically I’ve noted correlations between time and wager size on bet success. I will walk you through how these teachings have led me to an altered approach to my tradefeed presets and staking. Learning from mistakes is a requirement for any successful outcome. Hopefully this post can help you avoid the error to my ways. Soccer continues to be the most traded sport after another 65 trades over the past four weeks. Given the vast majority of these opportunities occur around midnight AEST on Saturday and Sunday, I’ve been making/attempting a habit of sobriety at these times. This is a weekend job and putting in a few hours from 10-1 is well worth the impact to your sleep schedule in the long term. These last 65 trades have created $416 profit or $6.4 per trade. This is a significant per trade outcome given my overall average is $1.77. There is an expectation that over the next month or so these numbers will revert back to the mean. Baseball has had a huge turn around in performance. After 196 trades I was sitting at a -3.6% ROI and a $313 loss. 23 trades later and Baseball reads as one of my better performing sports. This just indicates the requirement to base decisions on large sample sizes. For any individual technical analysis, I generally want to have in excess of 1000 trades to make a well informed opinion. There are always outliers to the rule but the speed of variance is something that always needs to be managed and recognised when assessing the graphs. Tennis was also kind to me over the US Open period, accounting for a $412 gain over 17 trades. American football will hopefully take up the slack of the tennis hiatus, in which there appears to be plenty of opportunities over the last five hours leading up to the event. Hopefully that absurd initial 30% ROI can continue, but the laws of probability are against me on that one. The graph above indicates all trades made within 2 hours of the starting event time. This is perhaps all that needs to be said. The average edge placed and closing edge is stable with all trade averages. Any similarity between expected value and total profit/loss is probably worth acknowledging. This also provides a level of clarity to the trades that may be far less profitable. Now whilst there is a clear sample size issue, the results are glaring. This has clearly been altered in large part to variance, however the basic numbers are still relatively alarming. Also worth noting is that the average odds placed is $0.22 lower, which should if anything decrease variance. Again the closing edge and edge placed remain symmetrical with the all-time numbers. 2 Hours+/High Liquidity Markets = Acceptable at odds of $2.50 or less. 2 Hours +/Low Liquidity = Never acceptable. These findings bring me onto an equally relevant indicator of success. Odds. 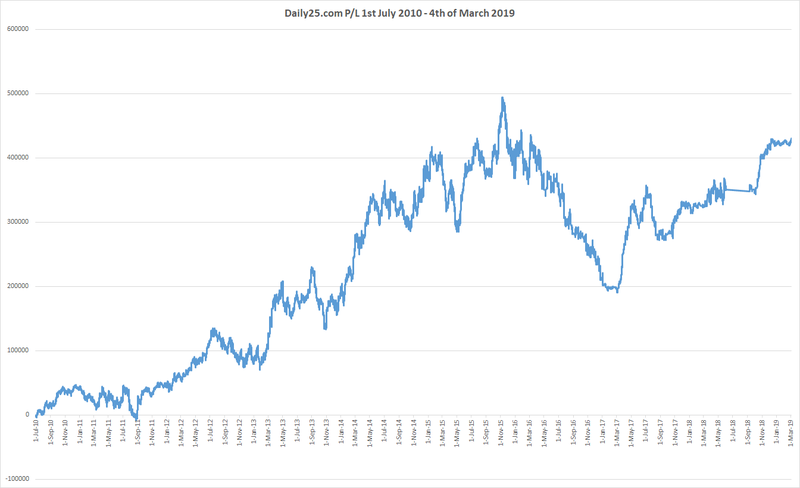 Take a look at the graph below with all trades made at odds of $3 or less. The blue line intersects quite perfectly with that of the green and has followed closely at the 250, 500 and 970 trade mark. The average edge placed is 4.9% and the average closing edge is 4.2%. As Steve indicated in his recent blog, there is a strong correlation between community profits the lower the odds placed are. This type of knowledge may be useful for those looking to up their volume, whereby small edges may be taken as the odds are lower. I will write an update on this once my volume with these types of trades is more substantial. To conclude the assessment lets view the best of both worlds, or more aptly odds under $3 plus placed with less than 2 hours till event starting time. The expected value is $3529, the closing expected value is $2940, whilst the average edge placed (4.8%) and average closing edge (4.2%) is similar to the prior graph. Whilst I don’t expect that profit will outperform expected value by 170% in the long term, this does reemphasise where that trade sweet spot sits. This is a factor to keep in mind when setting your trade presets. From my exploration into the data, I’ve determined that trade success is most likely when a recommended league with low odds is placed within two hours of starting time. Basic interpretations that may prove to be very effective indeed. As I wrote about this time last month, all the soccer is back and that means trades, trades, trades! 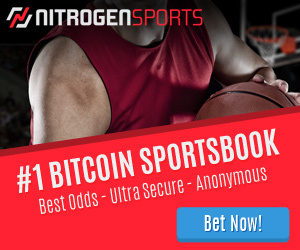 With the NBA season just two weeks away and the NFL in full swing, this really is a primary time to sign up to the service and get trading. Whilst the week to week of trading can be a rollercoaster ride, the long term is providing a slow upward trend. I look forward to next month’s post where we’ll hopefully break through the 2000 trade threshold. Till then, may the variance be on your side! As you can see, our members continue to make a profit and this member is already at 138% bank growth. This member’s returns are below the average return for members. Imagine having a tipster service where you are almost guaranteed to beat the Pinnacle closing line on every bet. Dailytrades is that service. Sign up now and get trading. Thank you for your interesting blog Steve ! This service seems to be honest. But soft books can limit very fast. May I ask you how much is it possible to earn from this service by using most of the bookmakers ? As with anything, your mileage will very. It depends how much effort you want to put in to hide these profitable trades. I was previously limited at all bookmakers already yet can still get on between $1 and $500 depending on the bookmaker. So even with limited accounts, it is still possible to make a nice profit, more than enough to cover the cost and come out well ahead. hi steve have you stoped using trademate? any advice for who want to start? whats been the bookies with more volume? possible bet365 and unibet? Hey Sev, yes I stopped using it only because I had so much other stuff on. It does require you to be near a computer all the time. If i remember, Unibet did have a high number or trades, as well as TAB, B365 and sportsbet.